Perhaps there is no more controversial issue in martial arts than rank. People chase after it, some buy it, some quit over it. Friendships are destroyed, relationships are ruined over rank, ego, and competition. What is the value of rank? Rank serves several purposes and has several advantages and disadvantages. Rank serves as motivation for students. You are excited to earn that first yellow belt and are already doubling your effort for Orange belt. You dream of someday wearing the black belt and joining that elite club. Motivation is important for most human beings. Rank offers recognition. You worked hard you deserve to be recognized for it. That is why the police and military offer medals for bravery. You did an act of bravery, you deserve our recognition and respect. Rank is also important within the dojo/club. The yellow belt should respect the brown belt. The brown belt should respect the second dan black belt. It is correct and proper. But it is not really the rank that matters. An undergrad student recognizes that the graduate student is at a more advanced level. The Grad student recognizes that the doctoral student is even more advanced than himself. So it is not only rank, it could also be number of years. In some styles of Karate the highest rank is fifth dan but the one who earned his fifth dan ten years ago is more highly regarded than the one who earned it yesterday. So rank has its' limits. There is also a difference in terms of school. A Yale or Harvard degree is more valued than the local community collage or an on line program. 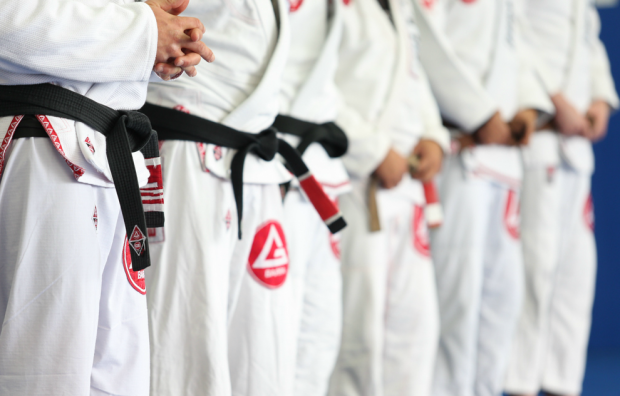 A black belt in BJJ is more highly regarded that a similar rank in certain other styles. I have seen styles of Krav Maga where in one year or even less you can "earn" your black belt. In summation rank is at best an inaccurate gauge of ability. While rank is important and one should certainly feel proud of earning one we should not get to caught up on it. Allow me an old story. My high school Talmud teacher, Rabbi Jacob Wehl of blessed memory, gave out only three grades. I think they were 75, 85 and 95. He wanted to teach us not to be obsessed with grades. What really mattered was the long term affect of studying. He used to tell us, If I gave you a 95 and then I see you ten years from now but you are no longer studying the Talmud, then of what use is that grade to you? It is the long term that matters. If you really want a 95, fine, I will give you a 95. The lesson sunk in for me. Yes, grades matter but true knowledge is more important. When I travel the world and I am in each country, each town, each school, a short amount of time, I cannot view each student in great depth. So I naturally rely upon my certified instructors. If teacher A tells me that student Y is ready for green belt, I will value his opinion as he knows the student better than me. Of course I shall still observe the student the best I can, and sometimes I will say the student needs more time, but in doubt I will trust the teacher. He has more experience with his own students. And what if I gave the student a rank that was too high? What would happen? My own teacher would always tell me that all ranks below black are simply for motivation, that do not mean all that much. So if you have a blue belt but you are really only a little above green, so what? Many years ago I tested a group of students, children, for yellow belt. All passed but one. He went out and cried his eyes out, he quite and never returned. Years later I saw him as a young man, he said that failing totally destroyed his self confidence, it took him years to recover. Give the student the yellow belt and he will keep training. Deny him the belt because he is not 100% and you will crush his spirit. A wise teacher knows when to be flexible. And a wise student respects his teacher's decision. Ranks are important but techniques, knowledge of self defense, are far far more important. Always remember that the bottom line is your ability, not a piece of paper or a piece of cloth.